Spending Thanksgiving on the railroad, the crew is Butler-bound with an empty Sheboygan coal train near Belgium, Wisconsin. 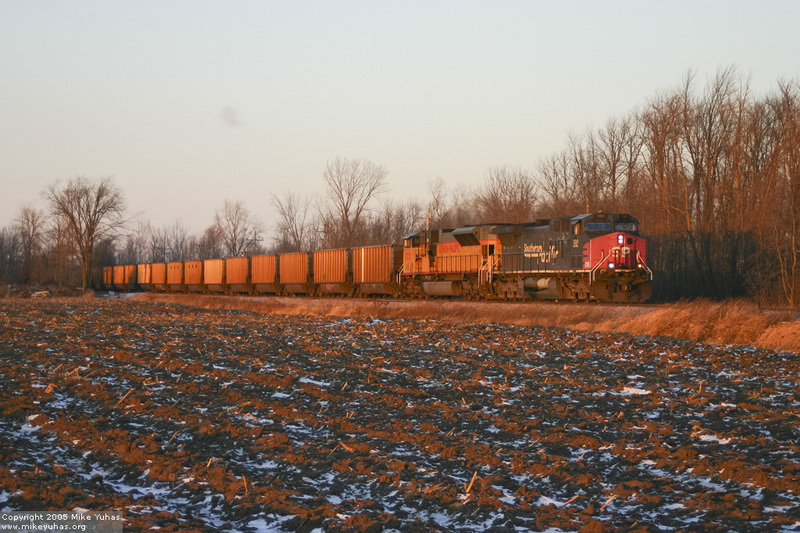 An SP AC4400CW leads a UP SD9043MAC. 113 hoppers are in tow.